Welcome to another Debut Author Bash! 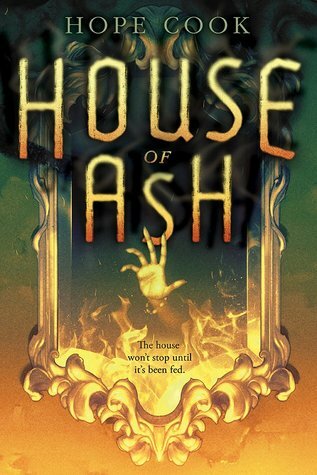 Today I'm featuring debut author Hope Cook and her book House of Ash. 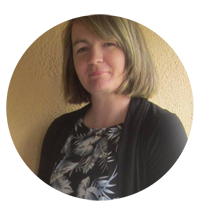 Hope Cook has been nice enough to do an interview, so please welcome her to the blog!! After hearing voices among an eerie copse of trees in the woods, seventeen-year-old Curtis must confront his worst fear: that he has inherited his father’s mental illness. A desperate search for answers leads him to discover Gravenhearst, a labyrinth mansion that burned down in 1894. When he locks eyes with a steely Victorian girl in a forgotten mirror, he’s sure she’s one of the fire’s victims. If he can unravel the mystery, he can save his sanity . . . and possibly the girl who haunts his dreams. But more than 100 years in the past, the girl in the mirror is fighting her own battles. When her mother disappears and her sinister stepfather reveals his true intentions, Mila and her sister fight to escape Gravenhearst and unravel the house’s secrets—before it devours them both. House of Ash is inspired by my love of gothic narratives and ghost stories, but at its heart it’s a book about loss and trauma and the hope for connection. The narrative moves between Mila, newly living in a sinister and labyrinthine house called Gravenhearst in the 1890s, and Curtis, who stumbles over the echoes of her story in the present while trying to hold his family together in the face of his father’s worsening mental illness. What are your writing strengths? Atmosphere, description... general creepiness. But also, a book that isn’t character driven or exploring something thematic beyond the surface plot loses my interest really quickly, so those are the elements that drive my writing. What do you feel you need to work on as a writer? Writing, but I can pay my bills. Not just pay the bills, but buying a petting zoo’s worth of animals and a house by the ocean with the buckets of leftover money. In this house by the ocean write and coax the seals to visit me for morning fish treats. What social media accounts do you like best? Tumblr and Instagram. I word all day. Give me pretty pictures for the rest. How has your life changed after you’ve become a writer? I have so many more things to be anxious and obsessive about. What POV do you like writing in best? Probably close third, but some stories demand to be told in first person. 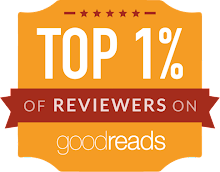 What would you say is your crowning achievement as a writer? The edit letter for my debut novel came the week I moved--a move necessitated by 6 months prior having realized I was gay (which caused my seven year marriage to end.) The chronic pain and anxiety that I already dealt with daily went completely through the roof to the point where I was almost completely physically incapacitated. I’m honestly damn proud that I didn’t kill myself or have to be hospitalized, and that I survived the debut editorial process in that state. Did you have a plan before you started writing? Each book is different, but I have to soak myself in the atmosphere of a story before I start writing. I know I’m ready to start drafting when I have enough of the main plot points clear in my mind, and usually the opening scene and climax. What genres would you like to write within that you haven’t written in before? I’d love to shift into a sci fi vibe a la Jeff Vandermeer for a few stories. Also adult literary. What genre would you never write within? My favourite interactions are those where I get to have a real conversation with someone and find out what really matters to them as a person. What other ways do you showcase your creativity? An alternate version of me is an interior designer. Current me dabbles with paints, assemblages, embroidery in my spare time. Two things; drafting one book with slavic folk rituals, winter spirits, and a family whose trade is the dead. And just beginning edits with my agent on a twisty story about twin sisters uncovering the dark secrets of their illusionist father. I read Fall on Your Knees by Ann-Marie MacDonald and fell completely in love. The way she played with words, the gorgeous way she wove multiple perspectives together, it gave me an absolute need to start writing. Hope Cook has been obsessed with all things Victorian and gothic since she was a small child and her parents let her watch one too many atmospheric BBC dramas.​She lives in Edmonton, Canada with her chihuahua beastling Reepicheep.